A hand knit pillow cover in progress using my Salish color scheme. 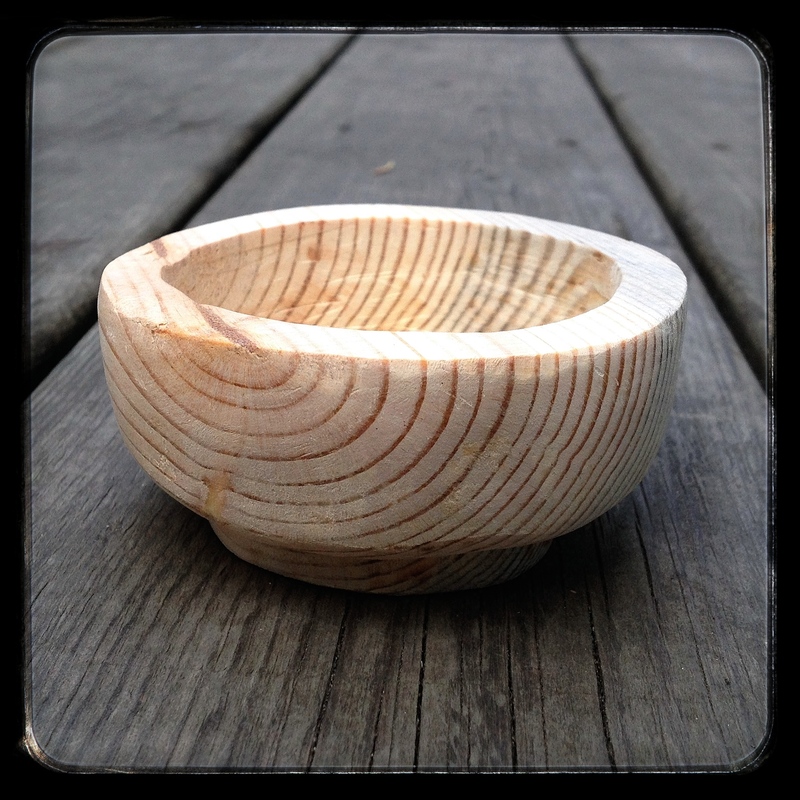 The bowl carved by rotary tool is smoothing out nicely. Time to decide on how to finish it. 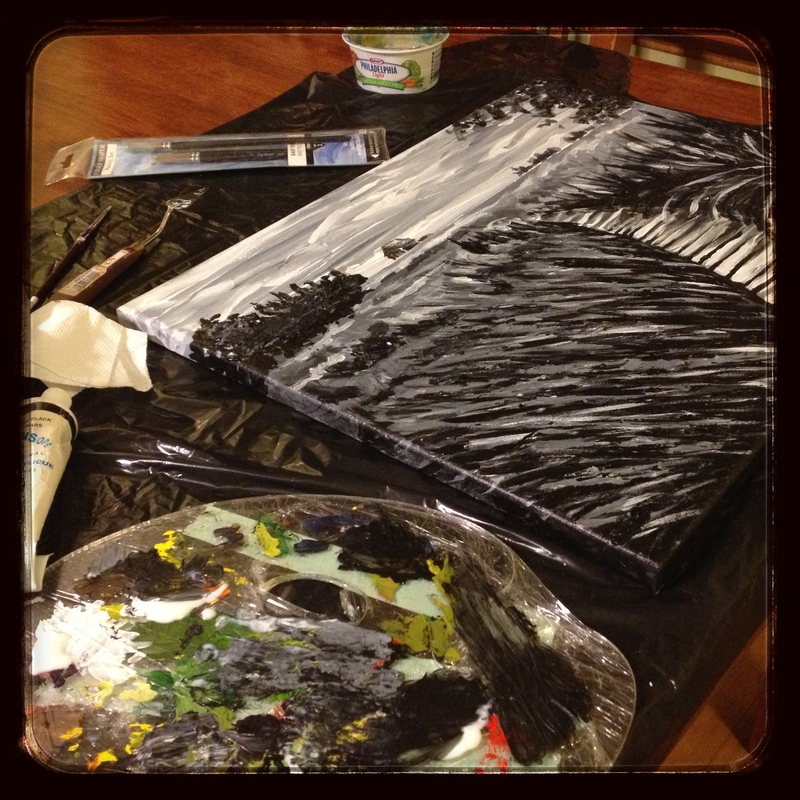 A black and white prairie landscape almost finished. This time a 16×20″ canvas. There are also three carvings currently being worked on and a woodcut. 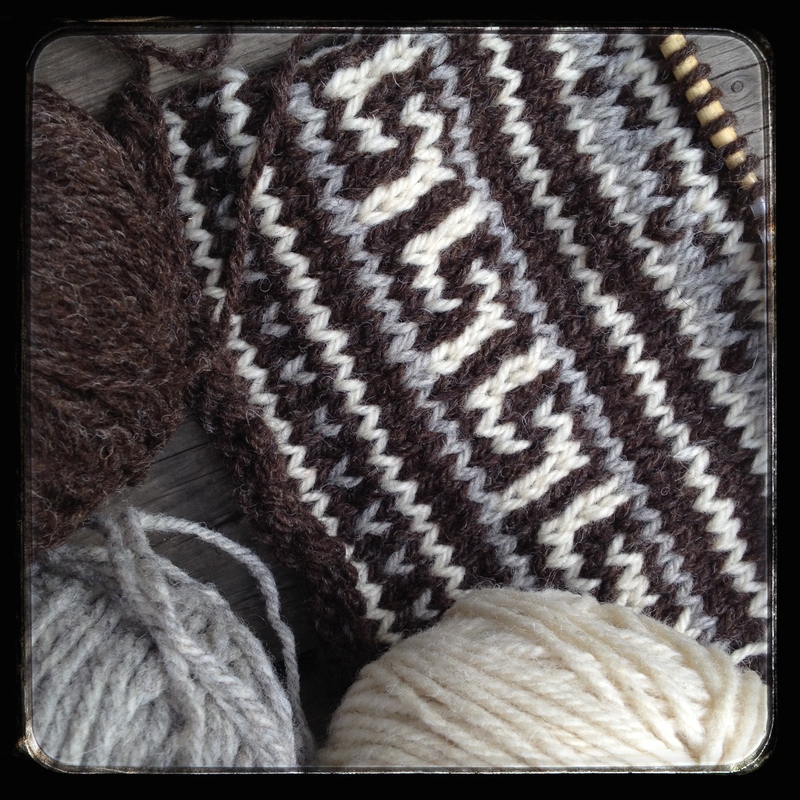 ← Sneak peek at what is coming up……. Always busy it seems. Today has been en plein air painting, photography, crocheting, and driftwood collecting for carving. One thing I do little of is watching TV…….no time! LOL!